“Growing up in southern India, all I saw were white potatoes, and so when I came to Ithaca as an international student and went grocery shopping for the first time at Wegmans, I was shocked to see potatoes that came in different colors,” began Teddy Yesudasan, a research master’s student in plant breeding and genetics, at the fifth annual Three Minute Thesis (3MT) competition. 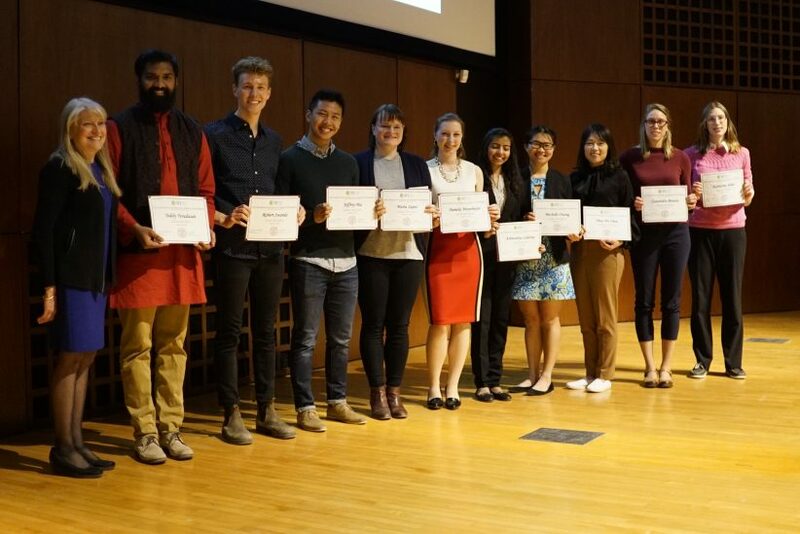 Alongside nine other students selected from 22 preliminary round competitors, Yesudasan had to present his dissertation research in just three minutes to a panel of non-specialist judges, staff, and students from across campus. Presentations were judged on their comprehension, clarity, engagement, and communication style. Chou voiced similar takeaways, adding that her public speaking and communication skills were enhanced by competing. The 3MT competition was first held in 2008 at the University of Queensland and has since been adopted by over 600 graduate schools in over 65 countries. 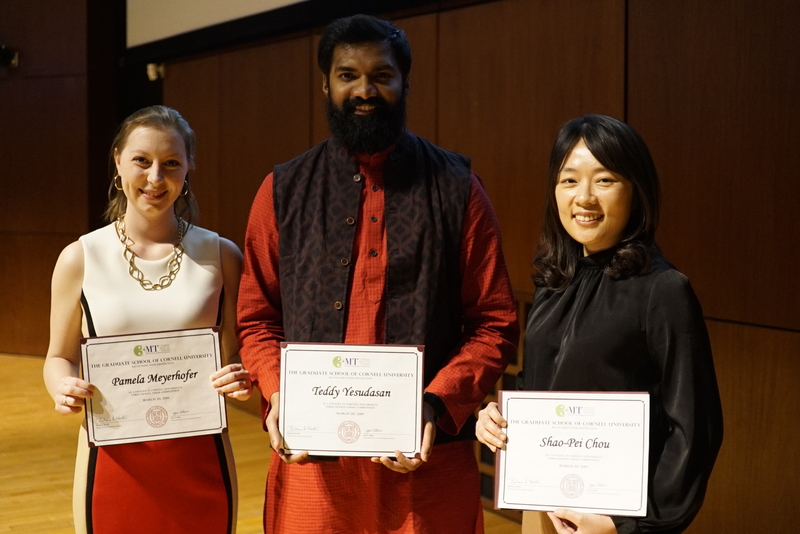 This year, Cornell’s winners will compete in the inaugural Ivy+ 3MT competition to be held April 25 at the United Nations (UN) in New York City. Yesudasan will also compete via video at the Northeastern Association of Graduate Schools annual conference in Philadelphia in April. Yesudasan and Chou look forward to the opportunity to present on behalf of Cornell at the upcoming event. Cornell’s 5th annual 3MT final round competition was held on Wednesday, March 20, 2019 at 5:00 pm ET in Call Auditorium. 3MT challenges research degree students to present a compelling story on their dissertation or thesis and its significance in just three minutes, in language appropriate to a non-specialist audience.